Welcome to KLT Charting's DMC thread clubs, where you can opt to have either the standard DMC stranded range, or the specialist threads, or both. 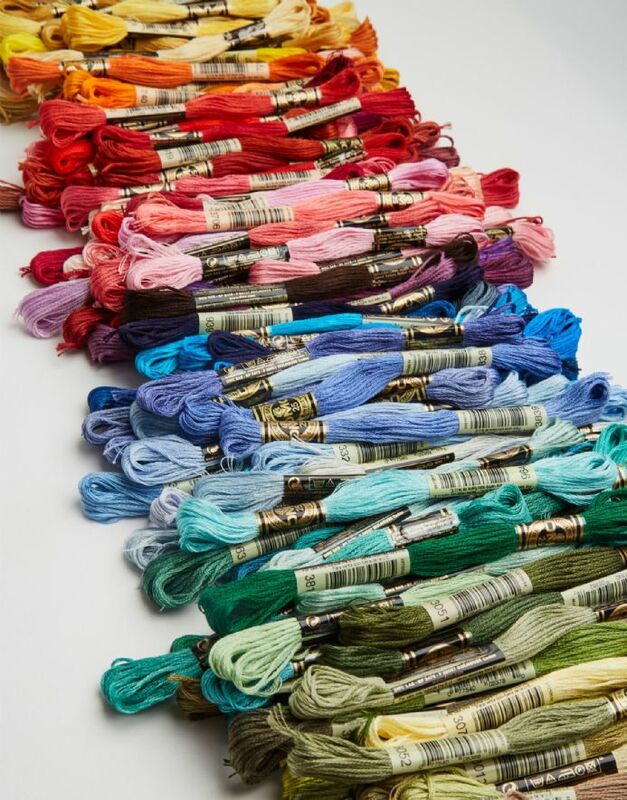 Whereas some thread clubs offer the full collection on a shorter time scale this club is designed to appeal to stitchers who want to increase their thread collections when on a tighter budget. 20 skeins a month for £13.50 per month, and you will have the full range of 500 threads in a little over 2 years. Each month you will receive 3 Light Effects, 5 Colour Variations, 2 Coloris and 3 Etoile, for £11.50 per month. Within 12 months, you will have the complete set of these four types of threads. Monthly DMC RRP is £17.87. You may opt to have either of these thread clubs, or both. Simply choose from the drop down menu. You can sign up for this club at any point during the month, and your order will be sent out once payment has been received. After that, you will be invoiced on (or around) the 1st of each month. Do not panic if you cannot pay your invoice immediately - you can pay at any time during the month. Any invoices not paid by the last day of the month will be cancelled. Usual postage costs apply which are added at the checkout. UK customers need only select the standard option (£1.75). International customers choose from either 'Europe' or 'Rest of the world' as appropriate. KLT Charting have the right to cancel this club at any time and without notice. Should this happen, unprocessed orders will be refunded in full. Depending on stock levels and demand, it may take up to one working week for club orders to be dispatched. You cannot choose which colour threads you receive each month.